CD Fitness/Blog/Lifestyle/Should You Train When You’re Sick? Everybody gets sick. But its tough to know what to do about it; do you exercise when sick or not? Should you sweat it out? or get some rest instead? The immune system: A quick intro – Every single day bacteria, viruses, fungi and parasites come at us. The most common invaders are upper respiratory tract invaders, or URTI’s. Such as… colds, coughs, influenza, sinusitis, tonsillitis and throat and ear infections. Luckily, our immune system has got a plan. When faced with foreign attack, it works hard to defend us. Without the immune system we’d never have a healthy day in our lives. Our immune cells originate in our bone marrow and thymus. They interact with invaders through the lymph nodes, the spleen and the mucus membranes which all help to flush them out of your body. 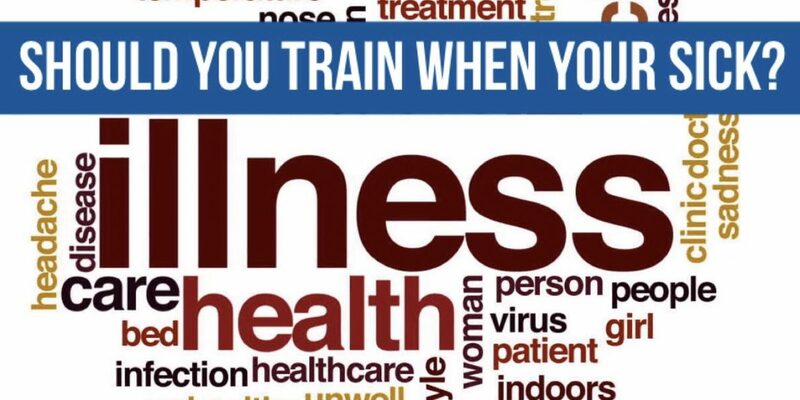 So, should you train when your sick? The answer………its depends! In our opinion we suggest that if you find your suffering from some kind of cold/cough, you don’t have a fever and your breathing isn’t restricted or even if you have a minor headache, you’ll be fine to train but just adapt the session to suit your energy levels. If your suffering from a fever, feel sick, your breathing is restricted/tight chest, dizziness, pain and have very low energy levels then we suggest staying home and getting some rest, focusing on getting better. Then gradually increase your activity as you start to get better. When you’re sick don’t forgot that your body is already working super hard to fight off the illness. The last thing you want to do is add stress to the body by working out. So help your body by resting, drinking plenty of fluids, eating well and keeping warm. However, this is only my personal opinion. This is how I manage my own illnesses, the above should not be taken as medical advice and you should always consult your own medical professional for advice when you’re unwell.